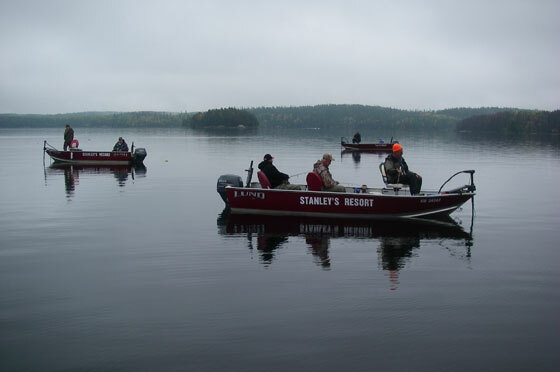 Stanley's offers full marina service to their guests while staying at the resort. Each package includes a boat, motor and gas. 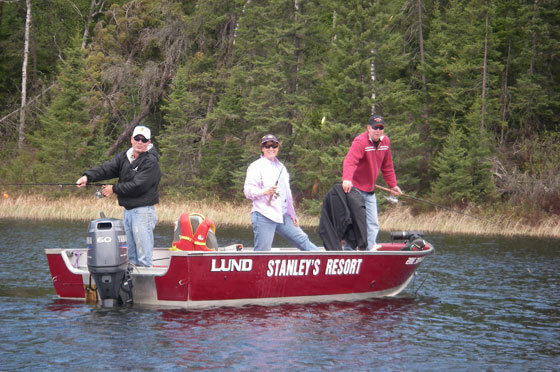 Our guests are treated to the greatest comforts in our complete fleet of Lund boats. Stanley's is proud to offer you the best equipment available. We have chosen electric start 4-Stroke Yamaha motors for their easy of use and reliable service. The boats are fully equipped with fish locators, electric trolling motors, flat carpeted decks with swivel pedestal seats, landing nets, minnow buckets, and life vests. You supply the fishing gear and the stories. Remember, all the gas is included in your package. 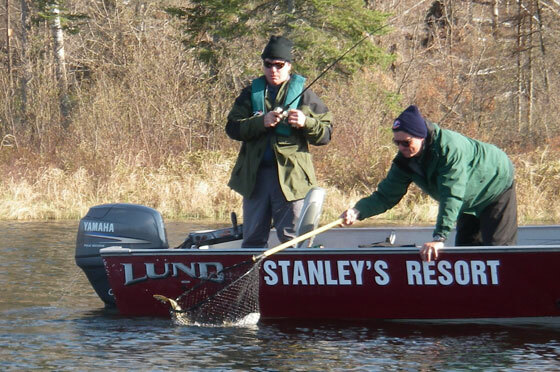 Meet one of the best fishing boats made, the 17 ½ Ft. Lund Outfitter. 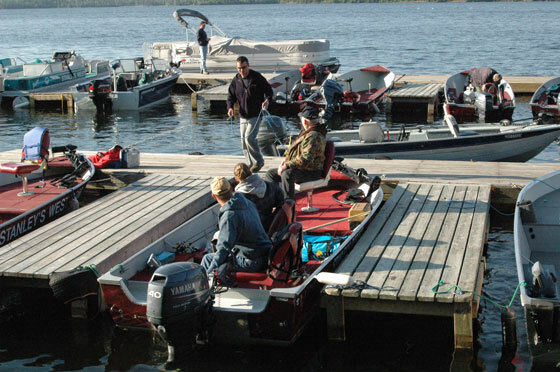 These deep wide boats easily accommodate 2 to 4 anglers. With a raised casting deck, live well, bait well, fish locator, bow mount electric trolling motors, as well as electric start, you'll wish you had one of these boats at home. The Outfitter has ample storage room in the front, and with the power of 50 horses behind you, it has enough to get you back to camp in time for fish fry. The Yamaha motors are fuel injected and have electric trim and tilt, as well as electronic idel control. The four stroke engine assures you of a quiet and smoke free ride. The Outfitters are standard for the sportsmen's package. Many of our guest fore-go the hassle of trailering their own boats, once the have experienced our quality equipment. 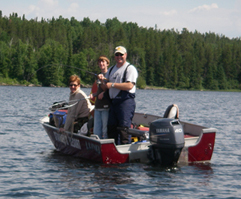 Our portage lakes are entirely outfitted with 16 ft. fishing boats with 40 hp. Yamaha motors. All of the equipment is on the other side of the portage, thus making it a breeze to walk over the short portage with your fishing gear and into the boat awaiting you on the other side. The portage boats have on Buzzard, Crabclaw and Walleye lakes all have electric start motors, with bildge pumps and fish finders. The portage boats on Tegean and Trout Lakes are 14ft, and are manual pull start.